India’s North-East, comprising eight States, is largely unspoilt by modern agricultural practices, which involve heavy use of agro-chemicals and chemical fertilisers. For this precise reason, the region is a natural choice for promoting organic farming in the country. Sikkim, the first organic State in India, has already shown the way for the other States in the region. 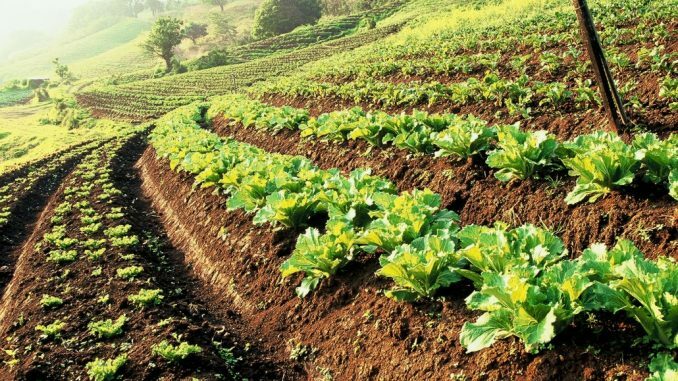 According to the estimates available with the Agricultural and Processed Food Products Export Development Authority (APEDA), as of 2017-18, nearly 90,500 hectares of land in the NE region is already under organic cultivation. Even though Sikkim accounts for more than three-fourths of this, other States such as Meghalaya and Assam have shown tremendous progress in embracing organic farming. As per the available statistics, another 77,600 hectares is the process of switching over to organic cultivation. The conversion process normally takes three years. Considering that there is nearly 5.5 million hectares of cultivated land available in the North-East, organic farming barely covers 3 per cent of arable land. “The potential is very high for the region to go organic. For farmers whose farms are located in remote areas, such farming practices can emerge as natural choice. This is mainly because of the high cost of chemical inputs. Moreover, organic matter in the soil in the NE region is significantly high as compared to other parts of the country,” says Nilabja Ghosh, professor at the Institute of Economic Growth, in New Delhi, who has studied the organic farming potential of the region in the past. Studies by experts like Ghosh have been instrumental in the Central government coming up with a strategy to promote organic farming in the region. About three years ago, the Agriculture Ministry launched a scheme called Mission Organic Value Chain Development for North Eastern Region (MOVCDNER) which aimed at developing certified organic production in a value chain mode to link growers to consumers in other parts of the country and overseas. The idea behind the ₹400 crore, three-year mission was to develop a holistic organic farming ecosystem starting from inputs, seeds, certification and creation of facilities, aggregation, processing and marketing. According to official data, MOVCDNER has helped bring an area of 45,920 hectares under organic cultivation as against the targeted 50,000 hectares, mobilised 48,950 farmers, created 97 farmer-producer companies and 2,469 farmer interest groups. Considering that the size of landholdings is small, a cluster model of organic cultivation is promoted under MOVCDNER. “Each cluster comprises of many farmers whose combined landholding is 20 hectares or more,” says Mannu Choudhary, MD of Kolkata-based Prakriti Organic Farm Fresh India, who has been involved in setting up 75 such clusters in Meghalaya. His team is currently in the process of establishing 25 such clusters in Arunachal Pradesh. According to Pankaj Agarwal, co-founder and Managing Director of Just Organik, Gurugram-based aggregator and provider of organic products, developing right kind of infrastructure is key for the development of organic farming in the Northeast. “While organic products, particularly spices such as black cardamom and ginger and fruits from the Northeast are undoubtedly of top quality, they become prohibitively expensive by the time they reach city consumers, Agarwal says. The authorities should find a way to make them available at cheaper rates by supporting those who are part of the value chain. Similarly, giving subsidies to those who set up processing units in the North-East is not going to help as not many would come forward to invest because unfamiliarity of these places. Instead, the governments should set up such units themselves and get private sector to run them. “Uttarakhand has developed a good model that these States can emulate,” observes Agarwal.